When you combine the names Steven Spielberg and Tom Hanks, and it involves a movie, you can rest assured that whatever endeavor they’ve undertaken together is going to be in the awards conversation at the end of the year. 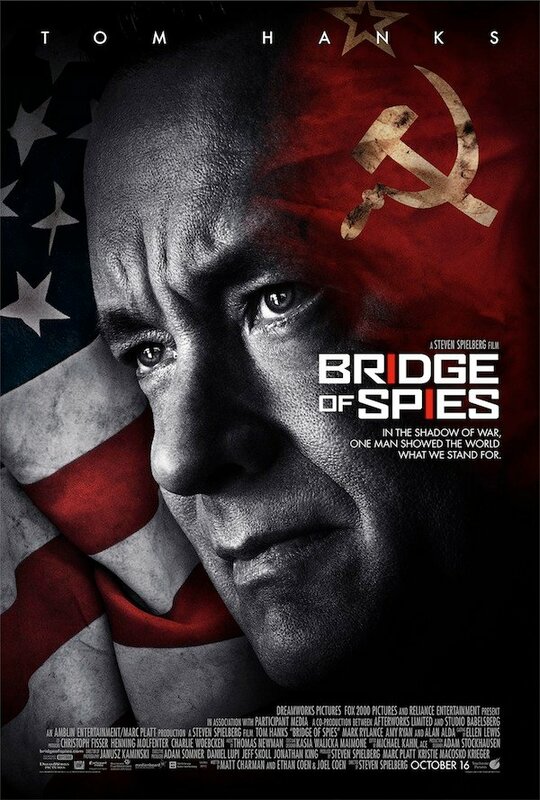 But even with all of the prestige pieces in place, their Cold War espionage thriller, Bridge of Spies, looks fantastic. If you don’t want to take my word for it, check out this great new international trailer for yourself. It certainly doesn’t hurt matters that Spielberg and Hanks are working from a script by the Coen Brothers, along with Matt Charman, especially in the prestige department. If Bridge of Spies lives up to the bar set by this trailer, we’re in for a damn fine time at the movies later this year. Even just the few minutes worth of footage we see in this trailer is enough get your heart beating and get you leaning forward in your chair. The real life-based action is tense and dramatic, and with potential global thermal nuclear war hanging in the balance, the stakes don’t get much higher. Set in 1957, against the taut, brink-of-war era full of escalating tensions between East and West, Bridge of Spies tells the story of James Donovan (Hanks). A Brooklyn insurance lawyer, he finds himself in the middle of a case of international intrigue as he is tasked with defending a suspected Soviet spy in the midst of the Cold War. The CIA then sends him on what certainly appears to be an impossible mission, to arrange the swap of their prisoner for the release of an American U-2 pilot who was shot down and captured while spying on the Russians. Check out a new poster as well. Beyond Steven Spielberg, Tom Hanks, and Joel and Ethan Coen, Bridge of Spies has also put together one hell of an impressive supporting cast—would you expect anything less from a Spielberg movie? Didn’t think so, the man’s a living legend. You’ve got Alan Alda, Amy Ryan, Mark Rylance, Domenick Lombardozzi, and many more notable actors on the cast list. We were already on board with Bridge of Spies based on the names involved and the previous trailer, but this new offering puts the film even higher up on our must-see list. It looks sharp and paranoid and full of high-stakes, life or death action, which gives it a nice gravity and import. Bridge of Spies opens everywhere on October 16, and you can bet we’ll be waiting when it does.